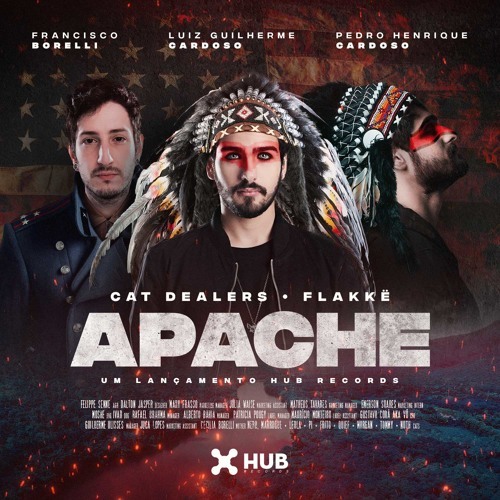 Brazilian DJ/Producing brotherly duo Cat Dealers have teamed up with fellow Brazilian Flakkë to deliver a highly energetic new single titled Apache, out now via HUB Records. The song has all the makings of a Festival anthem with its Bigroom appeal, delivering ample energy and drive that only further proves its worth for the Mainstage. I am loving the catchy, tribal-influenced vocal line that chants in rounds before rising to a synth heavy drop. Oozing with authentic style, Cat Dealers and Flakkë implement a soft pan-flute and marching percussion in the break, before re-establishing their core synth. If you're into highly energetic music with killer percussion, a tribal vibe and a killer drop, then you will love Apache. Stream it below!